Shahrazad. Traditionally known as the legendary storyteller and saviour of women from a ruthless King, or more recently, Sydney's newest authentic Lebanese dining experience in the heart of Kings Cross. Most of you may not be aware, the four of us ladies at PSS come from a Lebanese background, so eating Middle Eastern food is nothing new to us. The experience of our traditional dishes outside of our family homes is not as common as you may think. So when we do go out to Lebanese restaurants, it's easy to get critical...lets face it, who can compete with our super chef mums, aunts and grannies? Now, I have a theory. If a chef can make a mean (authentic) tabouli, then they have my immediate respect! 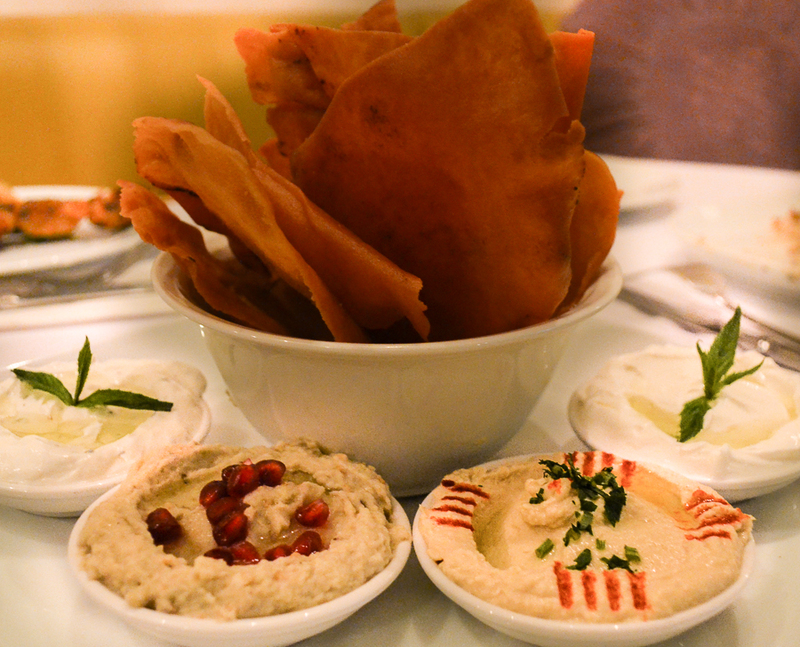 Chef Joe and his team have put together a menu that showcases the best of real Lebanese home cooking. I recently enjoyed a spread of all my favourite dishes at Shahrazad, and before I go any further, Yes, I said dishes. #Plural. 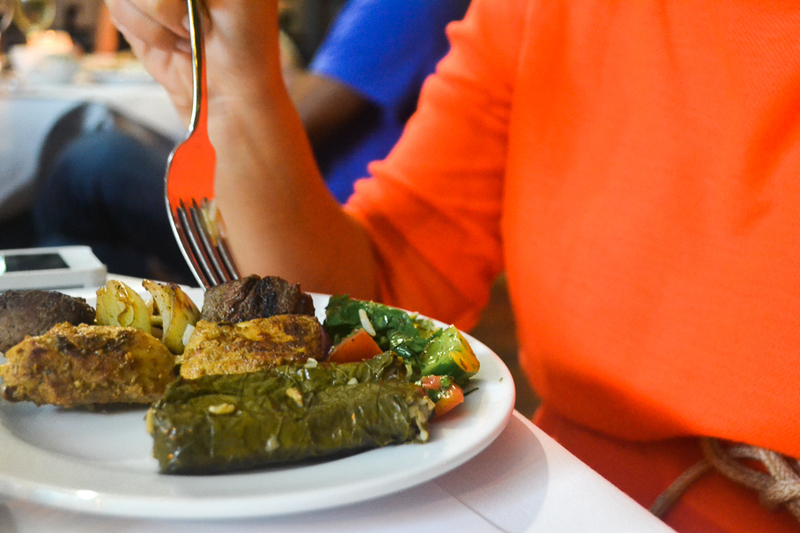 It's simple - there really is no other way to enjoy Lebanese food. It's all about gathering for good conversation about anything and everything over a generous spread of multiple courses in a relaxed environment - not what you would expect from the ever so noisy Kings Cross. The mezza style spread consisted of fresh salads, authentic dips, tender meats, bite sized wraps and perfect pastries. To end on a sweet note, bite sized portions of baklava with strong Lebanese coffee is recommended. If I had to pinpoint my favourite dishes, it would definitely be the fatoush (citrusy salad of lettuce, tomato, cucumber, red onion, sumac and crisp Lebanese bread) and samki harra (chilli fish). And just in case the prices at Shahrazad aren't reasonable enough, now's the time to catch a deal on Living Social Deal for you and your mates... this is definitely a dining experience that's best when shared!